As a native tour operator Antonio Gomes is offering safe and reliable jungle tours with experienced native guides, for those who like to feel the real Amazon and learn about its flora, fauna and ecosystem, far away from the city of Manaus. With many years of experience, we are specialized in organizing quality ecological tours into the Amazon jungle. The company offers tour for families, groups or individual with the best experience in two different type of ecosystem to our guest. For this reason we have two options ( AMAZON ANTONIO&apos;S LODGE upstream Urubu River and CUMARU POUSADA downstream Urubu River) both of them situated in one tributary of the Amazon River in two different landscapes. Take a look and choose what fits in your schedule. 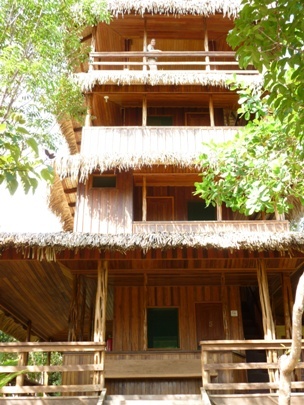 The Amazon Antonio&apos;s Lodge is situated on north part of Urubu River upstream, nestled right in the remote area of this region. 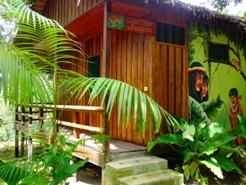 It is one of the very few Lodges in the Amazon equipped with clean energy system provided by solar panel. The Lodge is structured with a canopy tower, accommodation in Private Chalet, comfortable private rooms in bungalow, shared dormitory rooms and a place for relaxing in hammocks. As well as a restaurant and bar which is facing the river. Plus a floating sun deck with relaxing chairs to appreciate the atmosphere and swim in the river. There are several activities in this area of high land forest such as jungle trekking, camping in the jungle, paddle canoe, fishing, dolphin spotting, bird watching, night tours by canoe and many other. 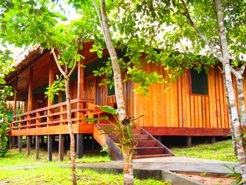 The Cumaru Pousada is situated south part of Urubu River downstream 250 km away from the city of Manaus. 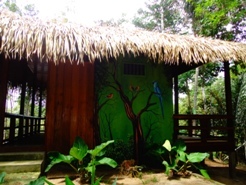 It is a small Pousada with capacity for only 15 guests with rooms facing the river as well as restaurant and bar. It provides a unique experience showing real life of the native people who live along the river. It promotes tour accessing the fantastic ecosystem of low wetland. The tours in this low land region are done mostly by canoe for bird watching, looking for pink and gray dolphin, looking for monkeys, alligator (caiman) watching and other type of wildlife spotting. We organize individual and group tours for those different options. Contact us for more detailed information about the availability, possibilities and price for our packages.